As expected, we are looking to avoid damage, misplacement, delays and other setbacks at all cost, this is why the company works with professional removal teams, made up of specially trained movers and experienced drivers. Working with qualified professionals cancels out a large percentage of the margin for error, thus providing our customers with reliable moving services that are worth their time and money. 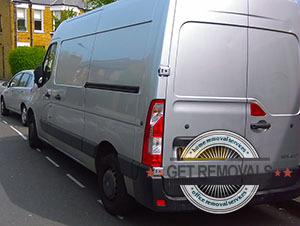 Another crucial aspect of any well organised removal solution is transportation, and we are well aware of it. In light of this, we own and operate a fleet of specially equipped removal vehicles of variable size, wheelbase and payload capacity. Efficient and flexible transportation allows for fewer transportation costs, and lower service prices for our customers. All removal vans are specially fitted with GPS navigation, as well as hoists and latching necessary for shifting heavy loads. Cost wise, we are more than a pleasant surprise as our private and business customers will receive individually prepared, free of charge service quotes unburdened by any hidden fees. On top of that, we will offer customised pricing that corresponds to the specs do the job, and meets customer budget requirements in full. On top of all these goodies, we offer excellent midweek discounts on all moving services. Bypassing all the nuisance and hassle that comes with your property removal will give you an opportunity to kick back and relax for a few hours while we get everything wrapped up and ready to go. 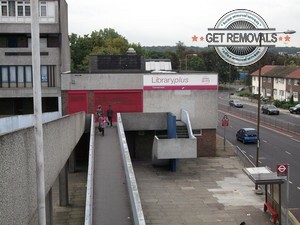 In the meantime, you can deal with other important aspects of the removal, or perhaps spend an hour or two in exploring the not too exciting district of Thamesmead. The area was originally marshlands which got built over in the nineteen sixties with a large number of social housing estates. Much of the land used for construction of Thamesmead was property of the Royal Arsenal. The housing projects were supposed to provide shelter and home to one hundred thousand residents, though in reality there are no more than fifty thousand people living there right now. © Copyrights 2016 Get Removals Ltd. All rights reserved.